In the northern corner of the South Island’s West Coast, sits Paparoa National Park. One of 14 National Parks in the New Zealand, Paparoa is most noted for the impressive blow holes carved by millennia of waves crashing onto a section of the rugged coastline at Dolomite Point. When a south-westerly swell whips the ocean into a frenzy at high tide, Mother Nature puts on a powerful display of force firing water high into the air above those lucky enough to be stood watching on the walkway below. 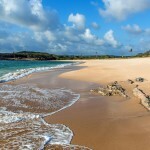 Bordered by a lush coastal forest, limestone cliffs, canyons and miles of unspoilt sands, there’s reason enough to explore this region of the West Coast for its beauty alone. Yet our recent visit unearthed a rather more adventurous reason to place Paparoa on your South island itinerary. Awash with natural formations that appear surrealist in design, Paparoa’s landscape is underpinned by vast blocks of limestone that are responsible for the park’s unique appeal. 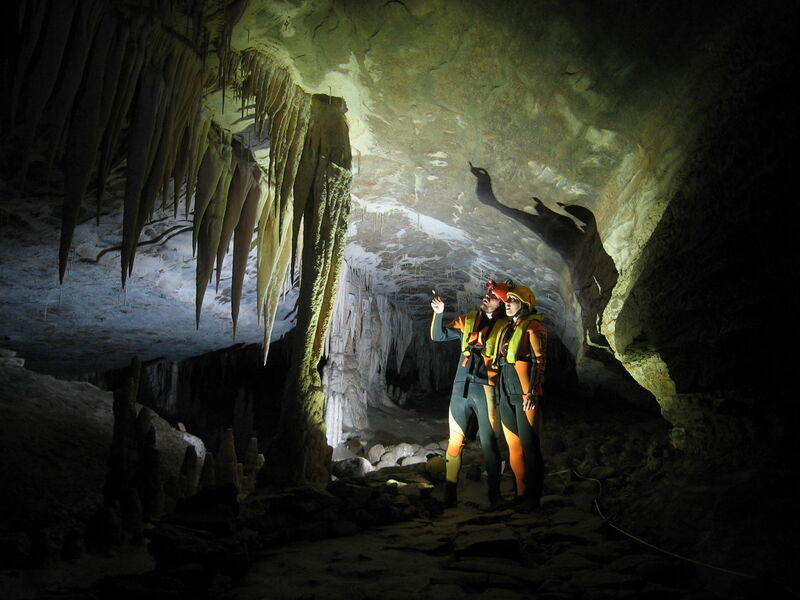 While forest birds such as tui, korimako and kereru migrate seasonally between coastal and upland forests, creatures of the underworld lurk beneath in a maze of limestone caves. Over 8km of shafts, tunnels and caverns wend their way through three levels of limestone high in the hills above the park, before escaping the darkness at river level below. 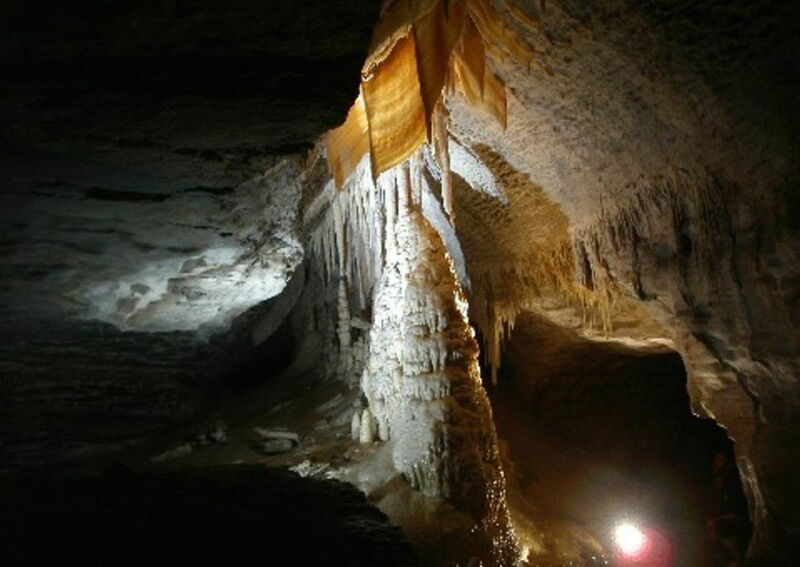 Off limits to anyone without a certified caving certificate and a permit from the Department of Conservation, few have explored inside the system aptly nicknamed The Metro. Clad in vibrant orange neoprene and sporting a yellow hard hat I step off the bus and out into the lush surrounds of the Paparoa countryside. Not a sentence I had envisaged ever writing, yet it perfectly describes the beginning of my underworld adventure. 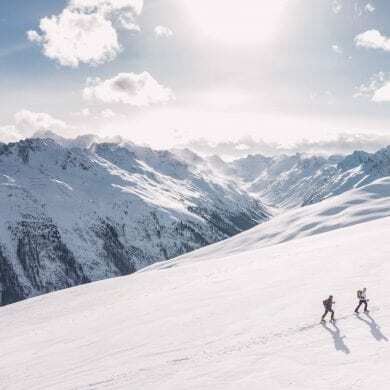 Accessible via a short train ride through the lush forested flats of the National Park, The Metro welcomes just a handful of intrepid explores into its depths each day. 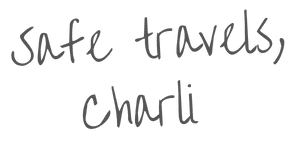 Operating out of the small town of Charleston, Underworld Adventures offers the opportunity to explore a world shut off from the one in which we live. A world in which light has no place. An experience of two parts I am to join the team of the Underworld Rafting Tour. 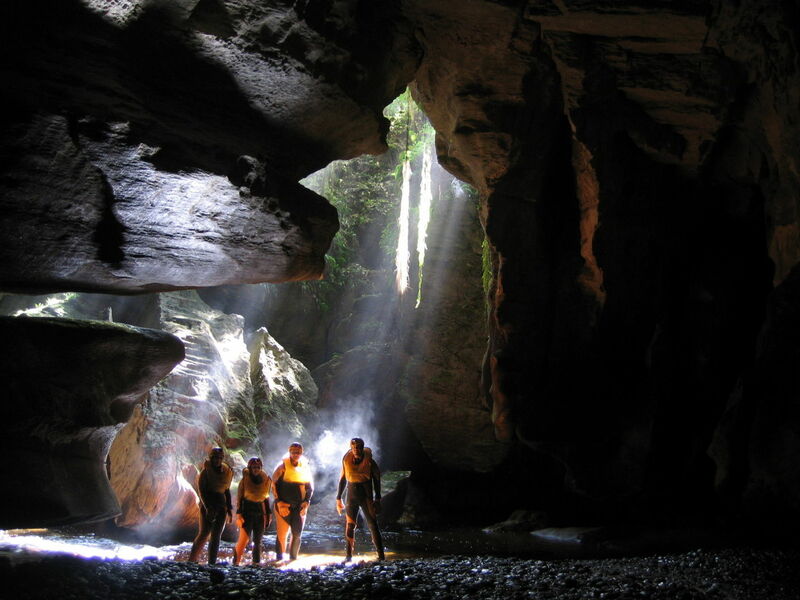 A half day experience which combines caving with white water tubing. After a brief train ride and a 15 minute hike to the entrance of The Metro anxiety sets in. I’ve never been at my best in confined spaces and the thought of navigating the 2km route underground has set my heart pounding, so much so that I can feel it shuddering in my chest. The lively chatter that had followed us through the forest subsides as we reach the entrance. Protected by a locked gate, to restrict entry to only those with the necessary equipment and certifications, panic washes over me momentarily when the guide turns the lock behind us. Talk inevitably turns to catastrophe underground, news stories are recalled and gruesome horror movie plots involving caving descents retold. This does nothing to calm my nerves. However on taking my first few steps into the darkness curiosity prevails and very soon I’m so engaged in the alien world that my heart rate returns to a more sedate pace. Climbing through what was once solid limestone the path ahead is littered with rock formations, gargantuan boulders and calcium deposits. Water drips from the ceiling, trickling down giant white stalactites and dropping into puddles that have etched away at the rock floor. In its natural state the cave has not been customised for the tour, other than a rope delineating the path we must follow it remains unaffected by the outside world. Moving further into the cave the light that was illuminating the entrance behind us slowly retreats, until without warning the darkness swallows us whole. The beam of light from the torch on my hard hat illuminates the limestone and calcium structures that dominate our path and we continue on deeper underground. Cavernous spaces appear at the end of narrow paths, water trickles down increasingly intricate organic calcium forms and the walls undulate in and out like the banks of a flowing river. As we reach the lower level of the cave it becomes evident that flood water breaches this area of the route and my nerves kick in again as my imagination kicks into overdrive. 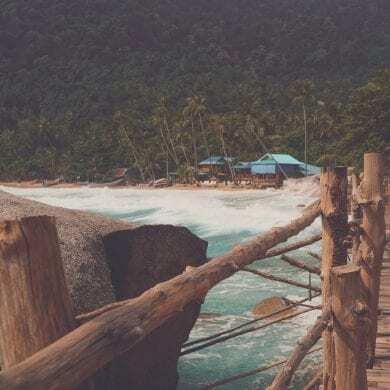 Despite fearing my imagination would manifest disaster, no wall of water came and we continued descending until at I heard the recognisable sound of flowing water. The gentle trickling kind, not the rushing wall kind. In reality safety is of the highest order for the team at Underworld Adventures. 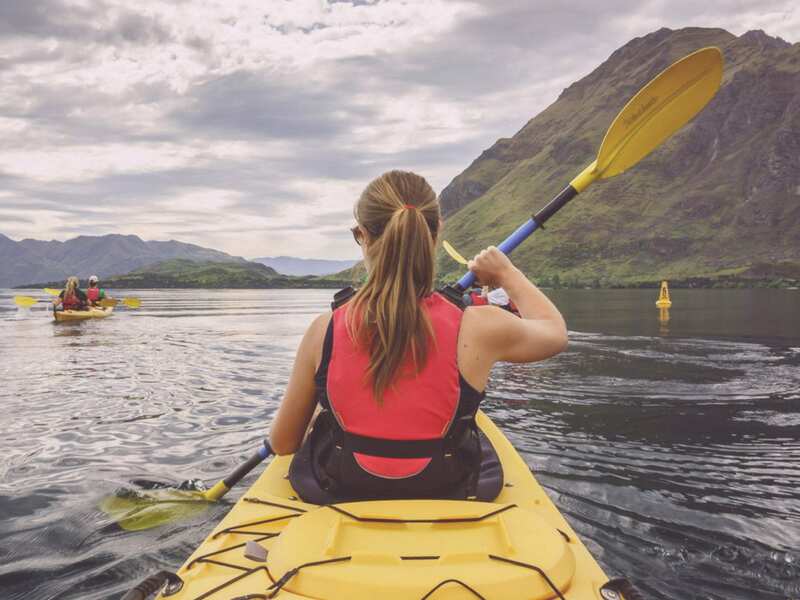 With experienced and qualified guides and a mandate to cancel excursions should the river exceed a recommended level, they mitigate the risk of encountering high levels of water underground. I’ve failed to mention that throughout the tour I’ve been carrying with me a giant rubber tube, which looks suspiciously like it used to be inside a truck tyre in a previous life. The practicality of carrying a large tube through an underground cave system may not be immediately apparent, however bear with me, I’ll reveal all in just a moment. Our guide throws down her tube and the noise sends a shock wave of sound through the cave. A thunderous explosion it terrifies the stuffing out of me and I almost expect the ceiling to fall in on my head. Of course the ceiling remains stock still although my heart continues to race. Laying my tube in the shallow water at my feet I am instructed to sit with my legs and arms laying over the edges. As each member of our underworld team follows suit we link up in a chain, each person tucking a pair of feet under their arms. A train of orange neoprene and rubber tubes we float away from the rock. All of a sudden I realise I haven’t seen a way out of the cavern in front. Our guide instructs us to turn off our headlights and we are plunged into darkness once more. Reaching up above my head I can feel a shallow ceiling. We are floating through a tunnel. Just as my heart rate begins to pick up speed again a million tiny stars appear overhead. A pattern of celestial forms they twinkle against the jet black sky…and then I realise, they are not stars but glow worms. We have emerged into a glow worm grotto! The thunderous noise from earlier was a way to rouse them from their slumber. The vibrations mimicking the movement of the bugs they feed on, and thus acting as an incentive to increase the intensity of light they omit. 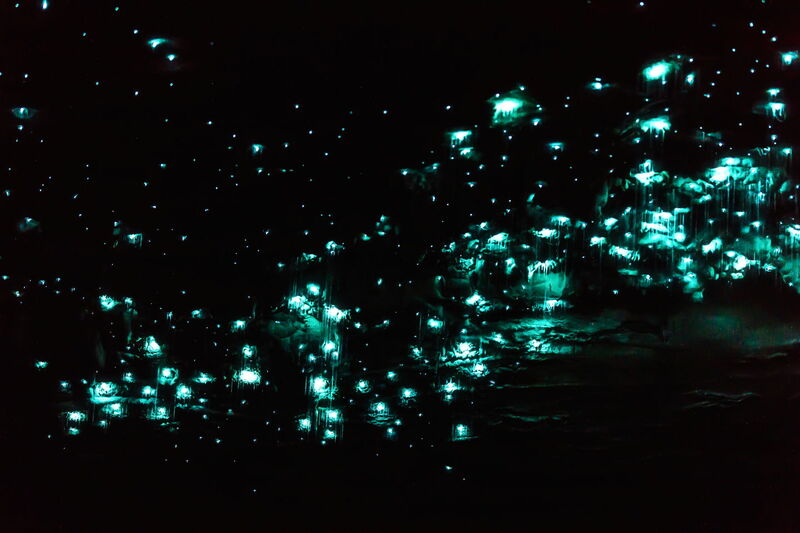 Said to be the best display of glow worms anywhere in New Zealand, this element of the trip is worth braving the depths of The Metro’s underground maze, even if you have to hold hands with your anxiety the entire way through. Floating beneath the blanket of tiny lights we are carried through the remainder of the Te Ananui cave system by the current, and soon arrive at the Nile River. Daylight bursts through the opening as the water level drops and we are grounded momentarily. Collecting our tubes and walking the few metres to the main flow of the river we are launched out into the white water and carried by the current once more. With instructions to keep my buttocks within the tube but above the waterline I do my best to navigate the rapids without receiving a river rock smack to my behind. Safely ashore, adrenaline coursing through my veins, I leave my tube by the river and walk back to the train. An adventure like no other during my stay here in New Zealand my Underworld Adventure is one that I’ll not soon forget. 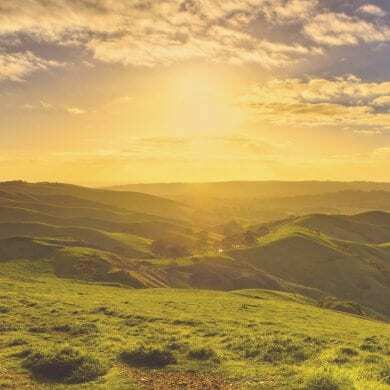 Fusing adrenaline with the concept of exploration in a pristine environment of incredible natural beauty, the team at Underworld Adventures offer a unique experience that is well worth deviating to Paparoa National Park for. Thanks to New Zealand Wild & Underworld Adventures for permission to utilise their photography from Te Ananui and Paparoa National Park. Have you been on your own Underworld Adventure? Share your comments with us below. Wow, the caves look fantastic! 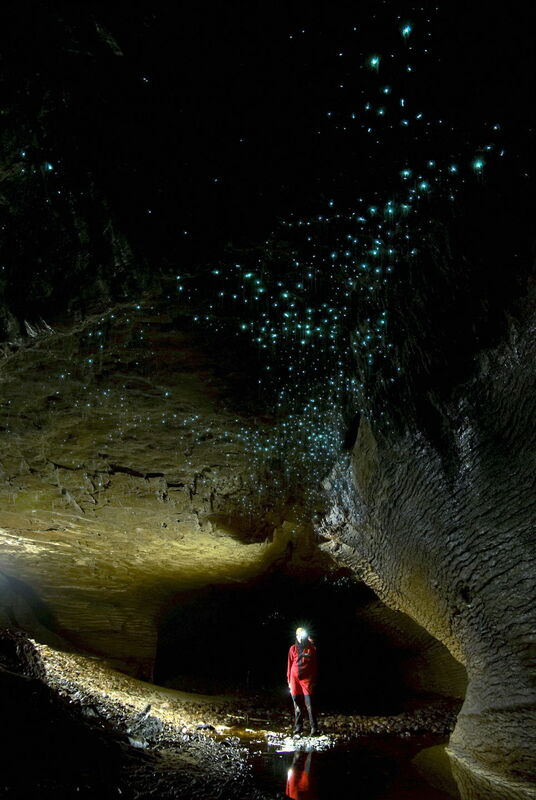 Love the photo of the glow worms, bet that was quite a sight. I have to say it was actually really moving. I think my emotions were running high anyway thanks to my anxiety, but it’s definitely something I’ll never forget. New Zealand is awesome even in its underground … wow! It sure is Katie, I can’t tell you what a magical experience it was to float underneath a blanket of glow worms! 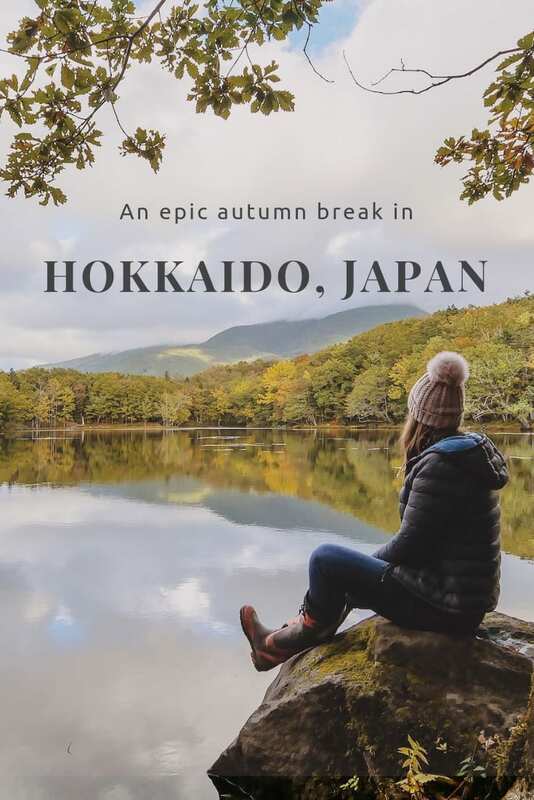 Looks like a lot of fun, yet again I want to underline that you have an amazing skill for finding all those super cool nature related activities! Love it! Thanks Marysia, it’s really not that hard here in New Zealand. There’s such a wealth of landscapes to explore and most are the perfect setting for some sort of active adventure! What’s not to love about a blowhole? Great photos, Charli. It really pays off going underground. Hahah good point! Nature is just marvellous. This is something I have always dreamed of doing in New Zealand! I can’t wait to finally visit some day. I hope you make it over to the West Coast of the South Island. There’s such a variety of adventures to be had! 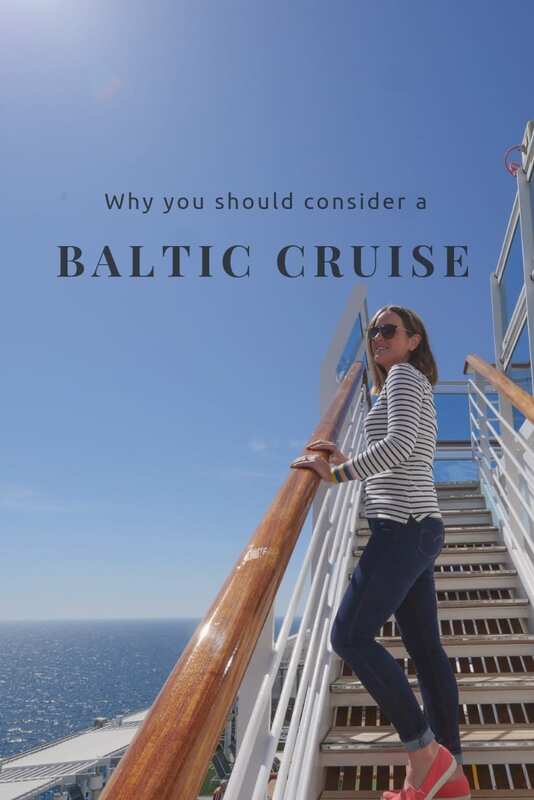 Wow–sounds like such an exciting adventure and it all looks so gorgeous! I would be nervous in the cave too–confined spaces freak me out as well! I was nervous but the cave is so mesmerising that I soon forgot to be afraid. I’d definitely do it again so it can’t have been that traumatic for me!! The glow worms are such a memorable scene. Highly recommend this trip! I hope you manage to see it for yourself one day! Oh man, this totally looks like our kind of adventure! 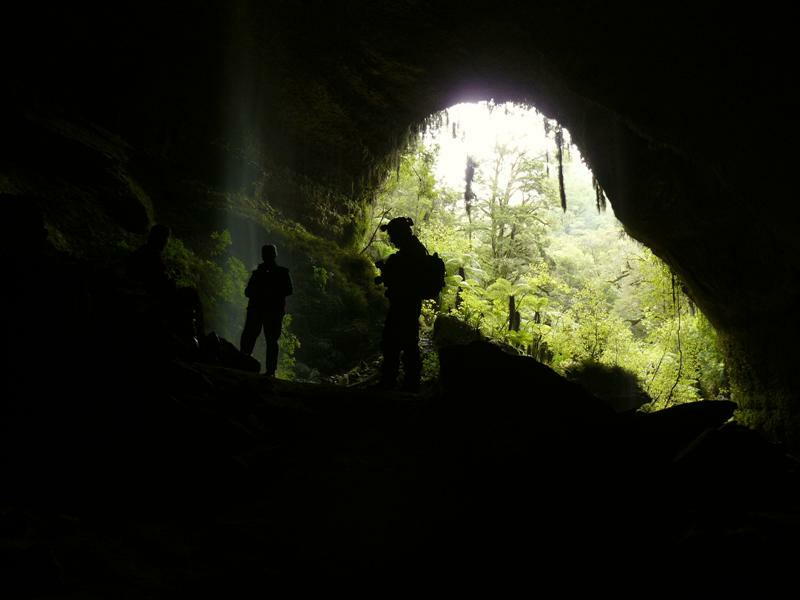 We’ve been caving (or spelunking) many times, from the underground rivers in Mexico’s Riviera Maya and the Milodon Caves of Patagonia to quirky sites in Georgia and Tennessee. But that Glow Worm grotto is like nothing I’ve ever seen. Definitely adding this to the list when we finally make it to NZ! I LOVE the word spelunking!! 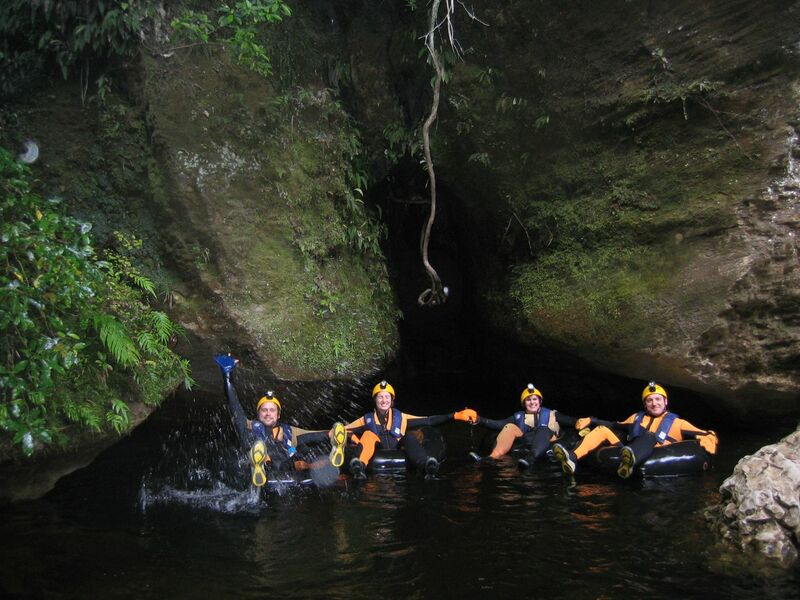 You’ll have a fab time with the team at Underworld Adventures when you make it over to NZ. Charleston is a rather unassuming town but the National Park is just out of this world! Wow, can I go right this second? That’s an amazing experience, I’m so jealous! Definitely putting it on my list for when I get to New Zealand. 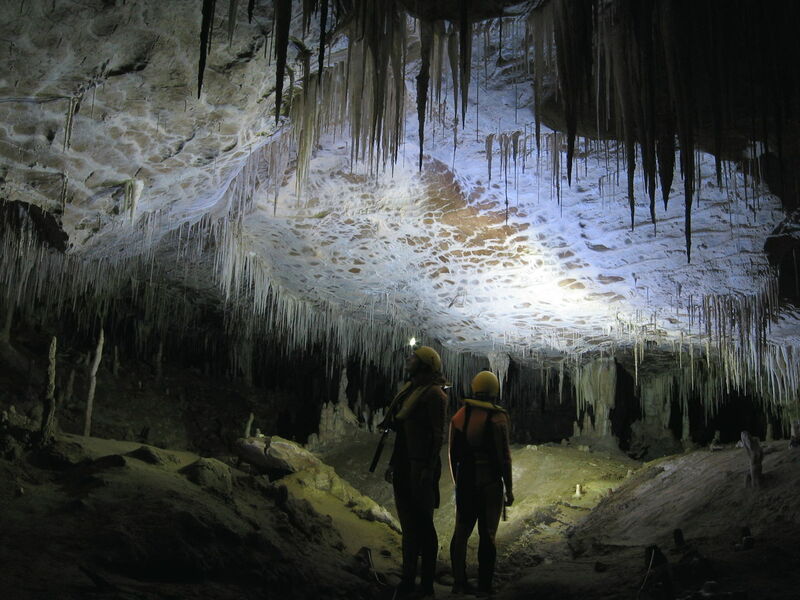 I’ve done some caving/spelunking before and it’s one of my favorite adventure activities — but it’s never included tubing or glow worms! Again with the spelunking, this must be an American term, I love it!! This has to be the ultimate in adventurous activities. I highly recommend stopping in Charleston and joining Underworld Adventures. Seeing those glow worms deep underground is such a superb experience. Cheers Torsten, we’ll be sure to follow along with your travels via Twitter too! Have just returned from NZ and visited the glow worm caves, which was a highlight of the trip for me. The whole visit was an adventure. Just moving through the underground caverns with water rushing underneath, and pouring down through huge holes in the caverns with a tremendous roar. The noise was astonishing and most of the caverns like an adventure from ‘Tomb Raiders’ or the like. Then the cocoon like atmosphere as we sat in the darkness in a tiny boat and watched the ceiling light up in brilliant blue lights from the glow worms, just amazing and enthralling. Not quite as adventurous as you, but it certainly was worth the visit. Great photos. We have been to several caves here in the U.S. but none of them are as beautiful as Paparoa National Park appears. Your pictures are amazing. I definitely want to do this someday and I am putting it toward the top of our to do list. I can’t image the beauty of rafting through a cave. The stars look amazing 🙂 Thanks for the great post. Glad you had such an amazing experience. Wonderful post guys. We just returned from a cave adventure ourselves. I love the intrigue of descending into the dark unknown.